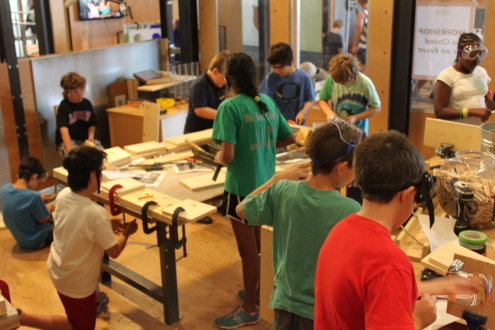 This August we hosted our first-ever summer camp here in MAKESHOP! 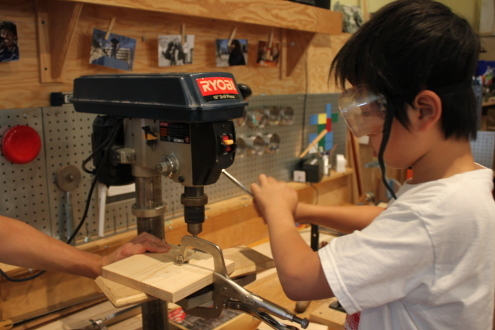 Designed for kids ages 10-12, each day was dedicated to a different form of making: woodworking, wearables and fiber, electronics, computer programming and digital manufacturing. At the end of camp we asked what people learned and liked, and every single medium was mentioned! Different kids with different interests all had fun and tried new things, and grew in unexpected ways. 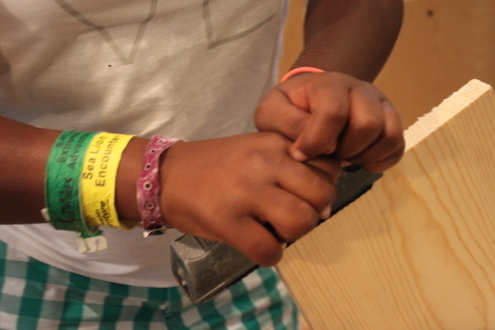 This week we’ve queued up some posts about the camp, each highlighting a different day of activities. First up, woodworking! 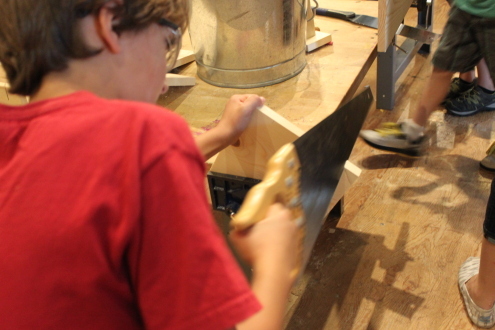 The campers learned about proper tool use and safety, then Derek and Elise guided them through designing and constructing toolboxes. Each camper was responsible for all the cutting, drilling, nailing and planning involved, so every box turned out differently. Some were straight-forward and functional, while some used more elaborate techniques or refined shapes. 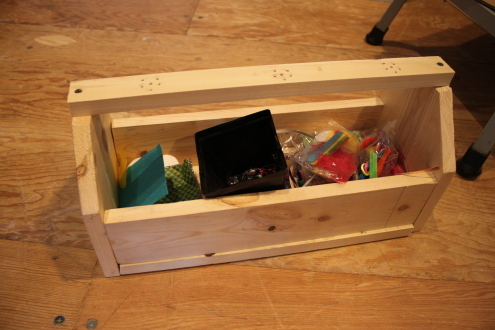 As the kids worked with different mediums through the week they were able to store the results in their toolboxes, which went home full of cool projects. Keep an eye out for the rest of this series, posting all week!